Hospital and clinic assets are valuable and highly portable. 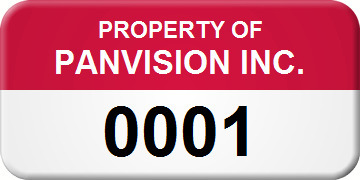 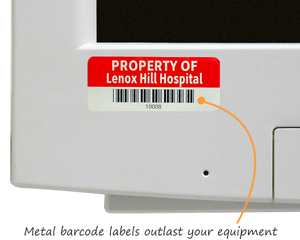 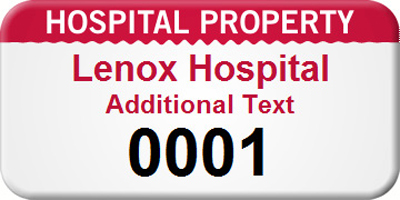 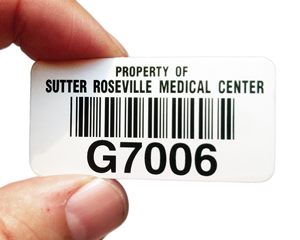 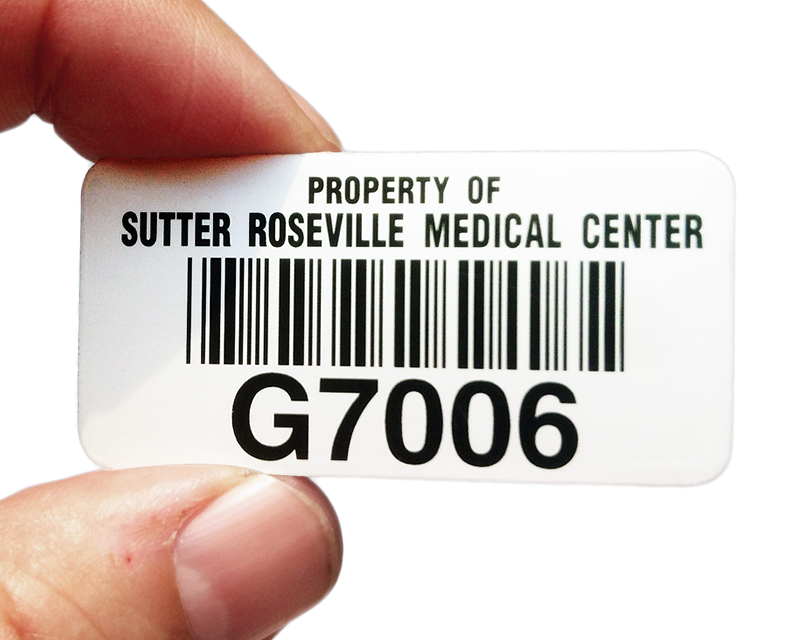 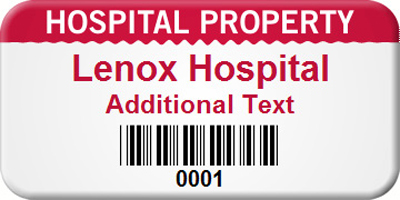 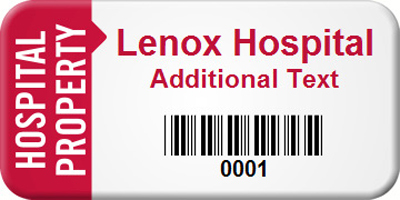 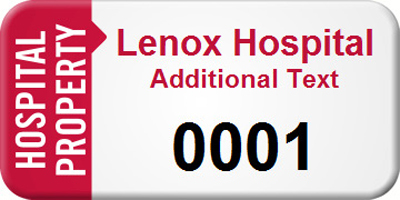 Asset tags are a vital way to track important hospital materials. 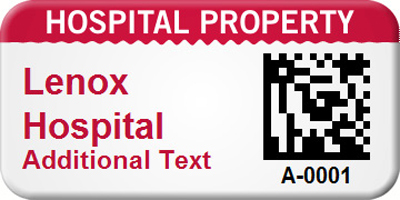 • Modular designs below are made for clinics and hospitals. 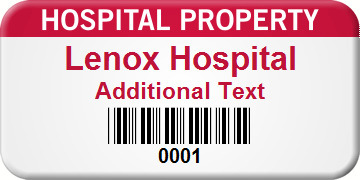 Get text-only options (with numbers) and popular barcode tags. 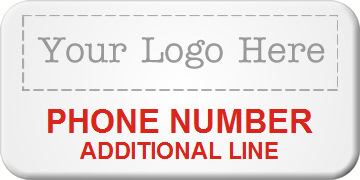 • Pick a design, add text, and choose a color. 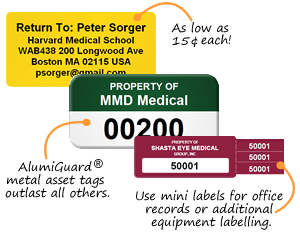 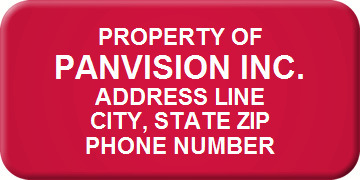 • Materials range from our industry-best AlumiGuard® metal asset tags to more flexible and affordable plastic asset labels. 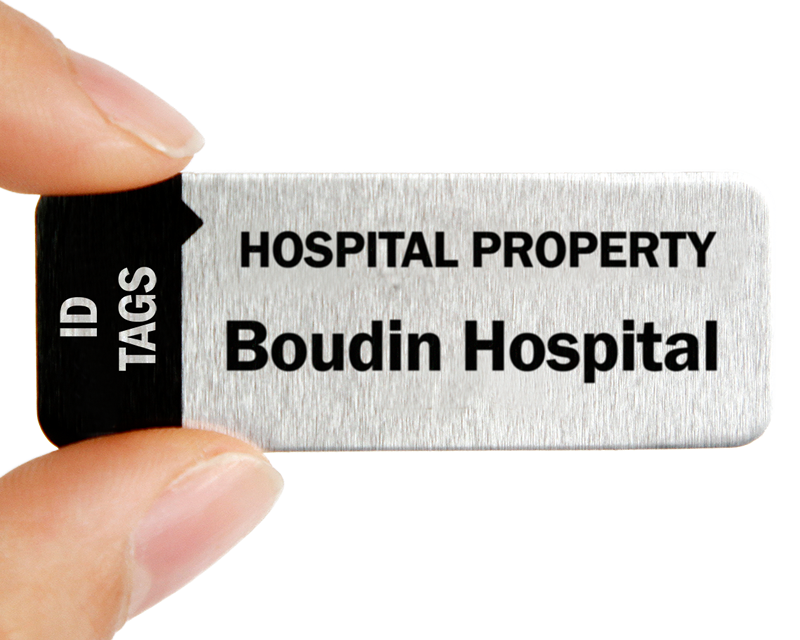 • Browse a much broader selection of custom designs. 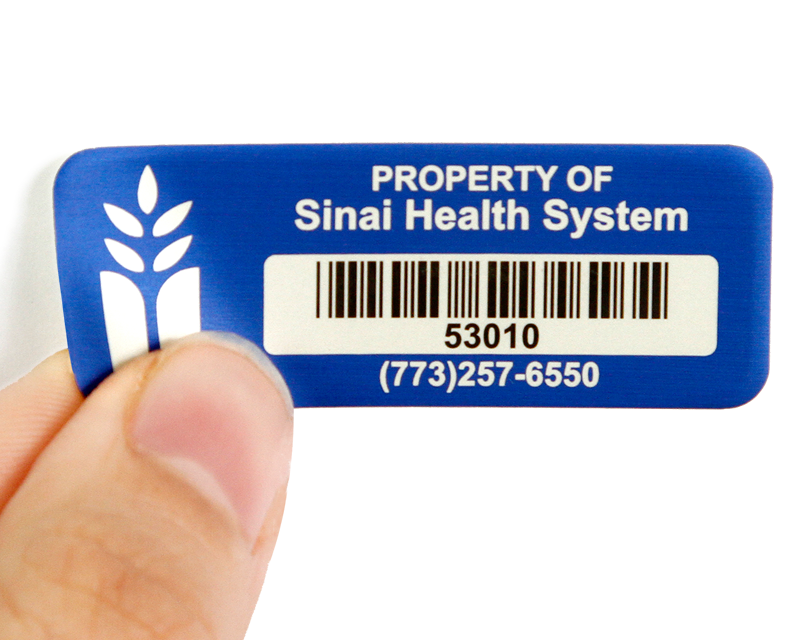 Modular headlines make your design stand out. 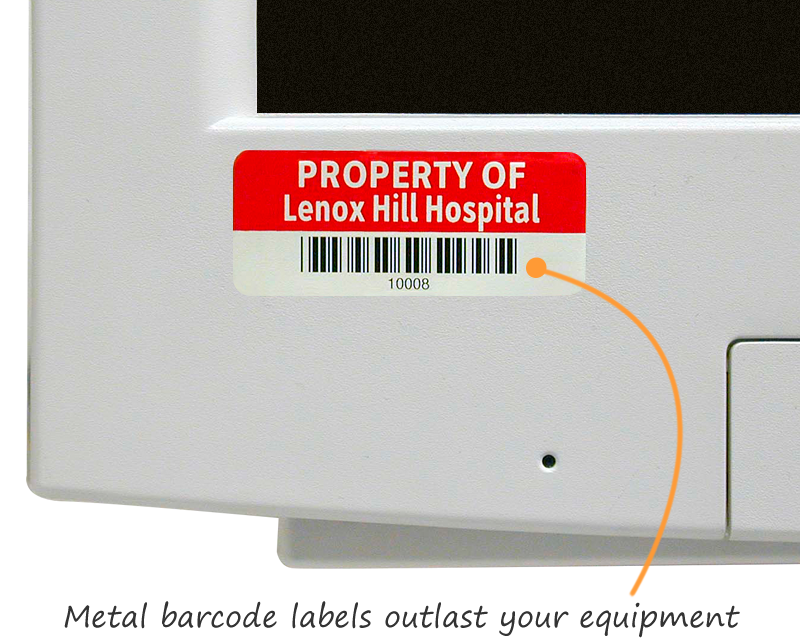 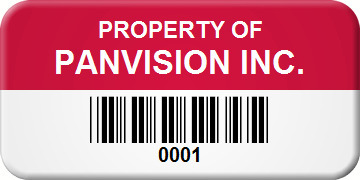 2D barcodes are great for asset or sample tracking.